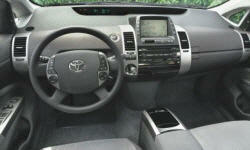 Why the 2007 Toyota Prius? 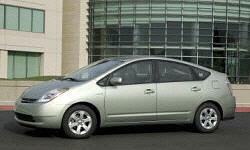 Why Not the 2007 Toyota Prius? We have no comment regarding its braking and safety. We have never experienced any instances whereby we felt to be in danger. The gas gauge/gas bladder has got to be redesigned. The reservoir has got to be a larger capacity. Most of the time, good mileage shows up, then its because the bladder did not fill fully. When the mileage is low, then ist squeezing in the extra bit.